Lace fern which lives up to its common name with finely divided deciduous mid green fronds. Grows up to 30cm. Fronds have the added attraction of having slightly hairy appearence. 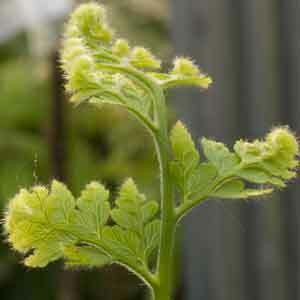 Usefull for accent planting or mixed woodland borders.